Edition of 400 hand-numbered copies. 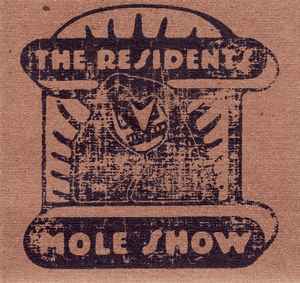 with backdrop drawings from the Mole Show (6 mole cards and 6 chub cards). Cd was recorded on 10-30-82 at the JJJ 105.7 radio station in Sydney, Australia. At least 2 different shovels exist. When RalphAmerica had the mole bag made, they had to find more than one miniature shovel sellers and that is why they are not all the same.